Fashion design, without extra cap, when not using your stylus, keep the pen barrel screwed on at all times to protect the disc. There is a extra pen bag to protect the stylus from scratch-resistant when not in use. Note: Please make sure the product is intact in the first use, in case scratch your devices. Please replace the stylus tip immediately to prevent the screens from scratching by the broken tip. The stylus include two replacement tips in case one gets lost or ripped which are very easy to install, just pulls out and then slot a replacement in. 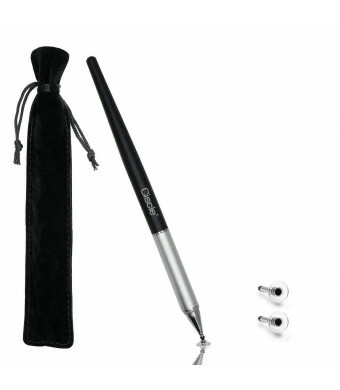 This stylus also prevents smearing the screen with oils and dirt from your fingers. With the clear plastic disc on fine tip you can see exactly where the tip is. This is creative when you need to find an exact point like in the middle of sentence you just typed. It is ideal for making precise drawings. No matter how fine a tip you try of the standard fiber or rubber tips they are just not fine enough or precise enough for some uses. These precision tips provide that accuracy. -Fashion design, balanced weight, made of aluminium and steel, give you a good feeling when use it. 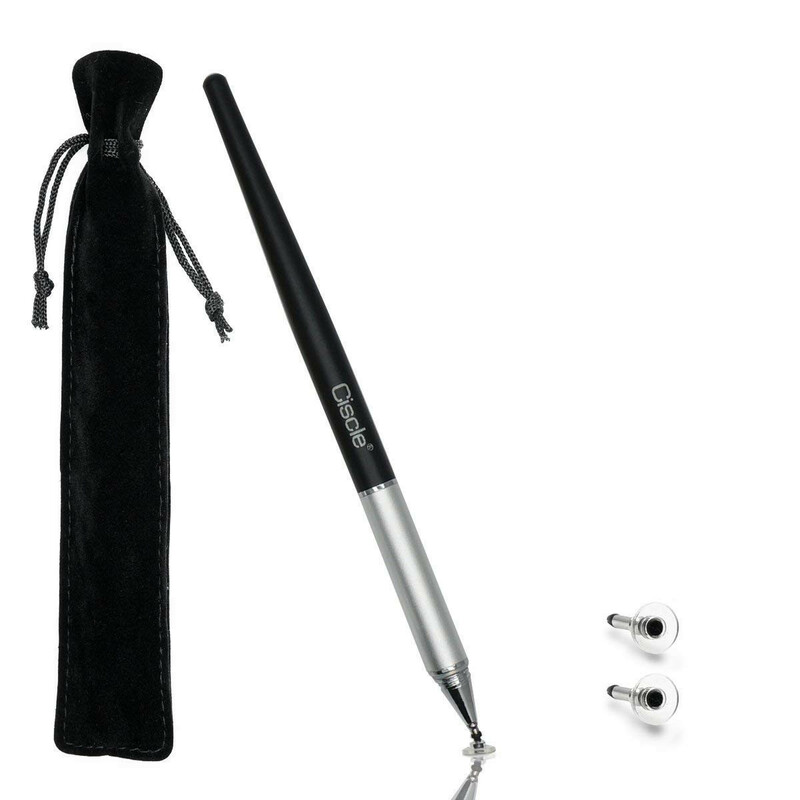 -This stylus is collapsible, you can turn out the tip When you want to use, screw out the pen cap, and screw in the other side. When you finish using, screw out the pen, and screw in the other side.